Truth be told, I would have never considered myself a boho bride. I was a mix somewhere between whimsy and romantic, with a hint of princess (because who isn’t on their wedding day?). But, being married nearly four years now, my tastes have changed a ton, and the bohemian trend has bewitched me. Beyond, at that. I’m just lucky I get to live vicariously through the brides-to-be in my life -- currently there are three of them -- and the ones that I write for. And if you’re a boho bride, you besttt be taking a look at the Shikoba Bride. 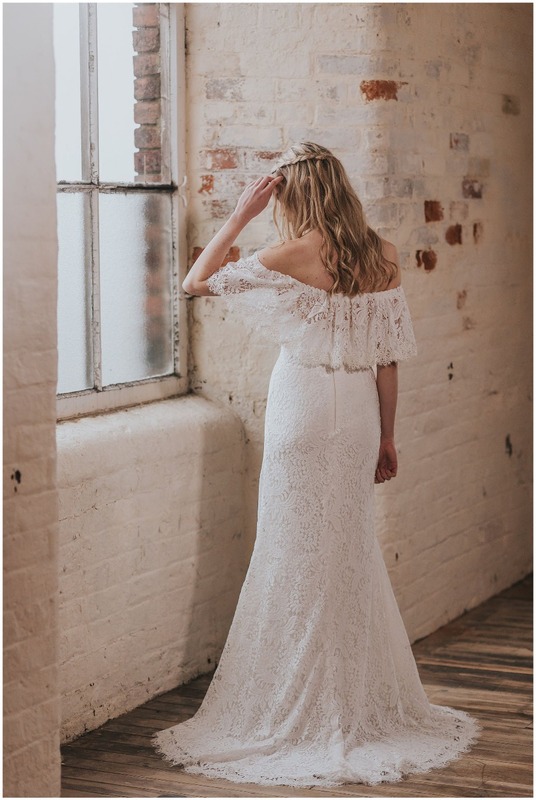 The girlies behind this 2018-launched brand sponsored this post to make sure their inaugural collection was hot on your mind to marry the first love in your life (your dress is about to be your second, for now!! There is A LOT to love about Shikoba Bride, and we’ll start with the basics, like its British-born intrigue and its name. Shikoba means feather, pretty fitting for a boho collection that’s as free-spirited as it is stunning. It’s also the brainchild of two fashion industry friends, bridal designer, Fiona Cooper, and stylist, Becca Jenkinson. These two believed something was missing in the current boho bridal landscape, and wanted to fill in the gaps with a gorgeously-strong brand for adventure-loving brides around the globe. Everything is available to shop online and ship worldwide. That last sentiment, it couldn’t be any more on-point. 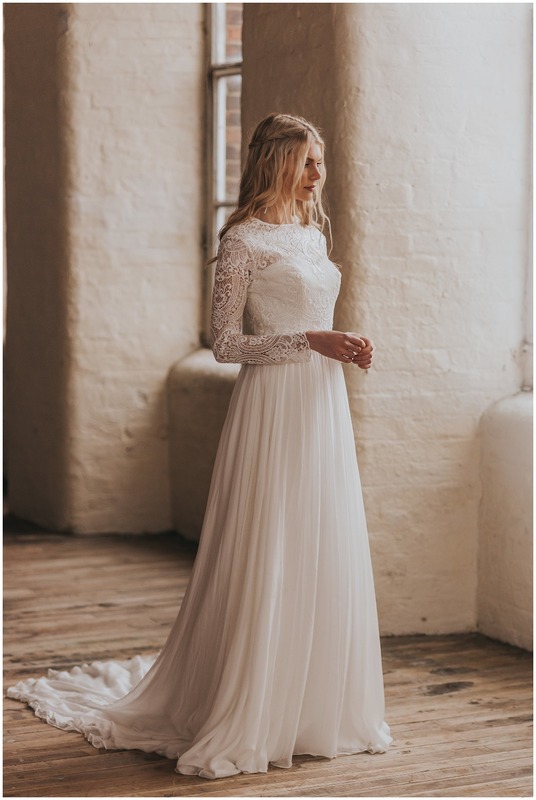 Because yes, the dresses are decidedly bridal, but they can be worn long after the wedding, and even styled for both ceremony and reception the day-of, to create two distinct TDF looks. 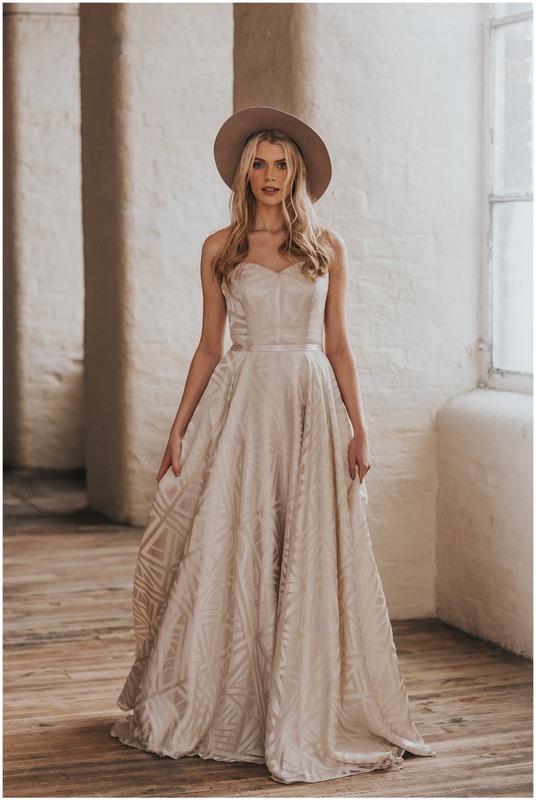 Add a fedora to synchronize something simultaneously sunny and moody for a relaxed Palm Springs celebration, or throw on something suede and wide-brimmed for a boho vibe that’s a bit more refined and polished (even for vows on a mountain). Fi and Becca have worked tirelessly to infuse all of the dresses with classic boho tokens sourced from around the world. 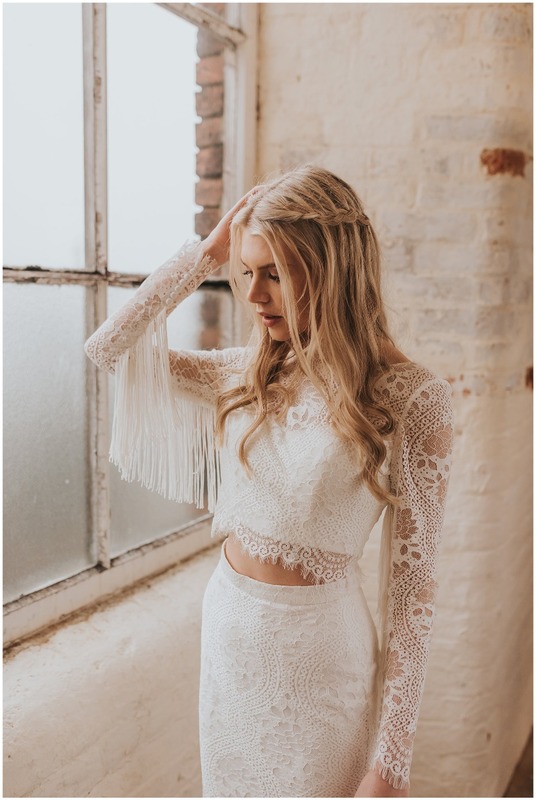 Exquisite cotton laces, hand-beaded and embroidered laces, soft-flowing skirts, tasteful tassels and fringe on fringe on fringe. Each and every gown deserves 👏👏👏 because they’re that good. Just scroll through the slide. You’ll get what we mean. 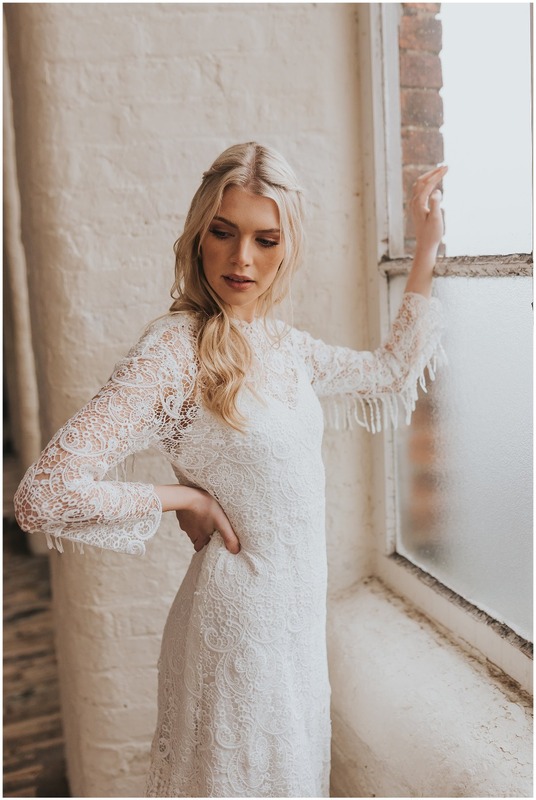 By that, we mean boho brides and like-minded boutiques who share their style visions and want to be part of the Shikoba Bride sweep across the states. For brides on the hunt for a dress dripping with sass, Shikoba Bride is offering an exclusive competition for one lucky Wedding Chicks bride-to-be, by signing up for their newsletter and following them on Instagram, you will be entered into a competition to win a Shikoba Bride dress of your choice from the collection up to a $2,150 value. Terms and conditions apply. 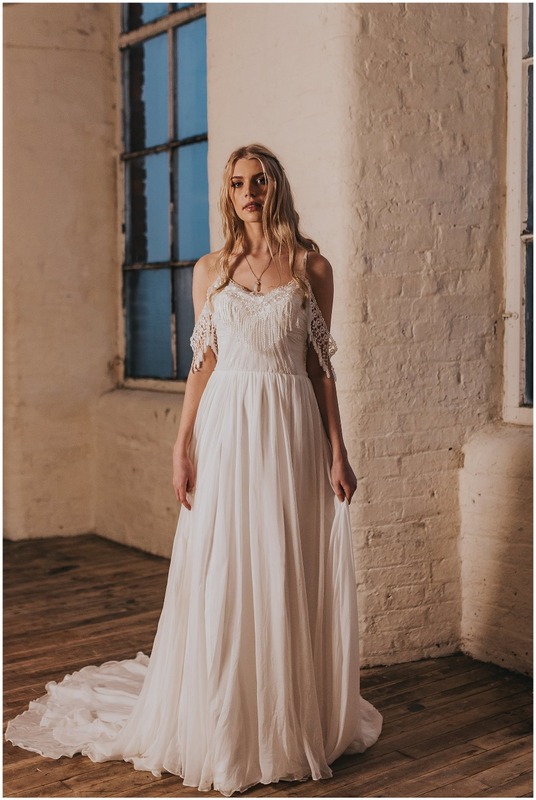 For boutiques getting a little bored with their inventory as of late, Shikoba Bride is looking for similar souls to become stockists in the United States, England, the rest of Europe, Australia, NZ, South Africa and beyond! You’ll get to work with Fi and Becca to brand the brand’s in-store appeal, and you’ll be entitled to a trunk show with the entire collection, which is obvi so badass! Get in touch (fi@shikobabride.com) for more info! Peep the entire collection👇.... And make sure to follow Shikoba Bride on IG for so much boho beauty. All 📷 captured by Lucy G. Photography. We partnered with Shikoba Bride to give our boho brides #somethingnew to consider. As always, thank you for supporting our sponsors!